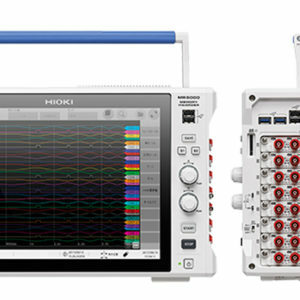 Hioki benchtop power meters and power analyzers are best in class power measuring instruments for measuring single to three-phase lines with a high degree of precision and accuracy. 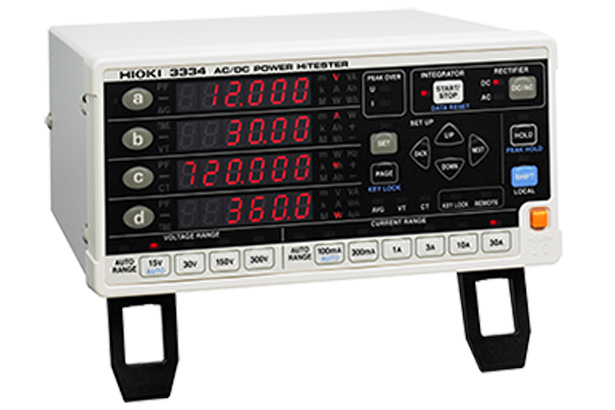 The 3334 is an AC/DC power meter that measures inrush current and power consumption, ideal for DC and current and power integration applications to meet energy efficiency standards. 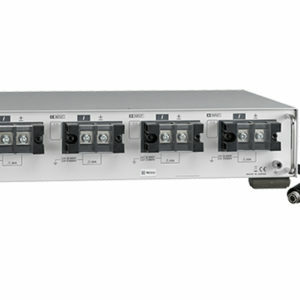 Parameter output representation: voltage, current and power (3 simultaneous channels), Output voltage: 1 V DC f.s. 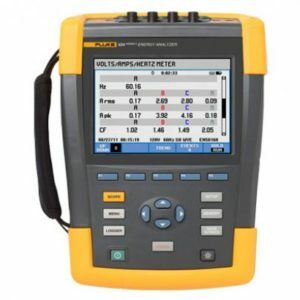 Parameter output representation: voltage, current active power and selected 1 item (4 simultaneous channels), Selected 1 item from apparent power, power factor, current integration, active power integration, Output voltage: ±2 V DC f.s. 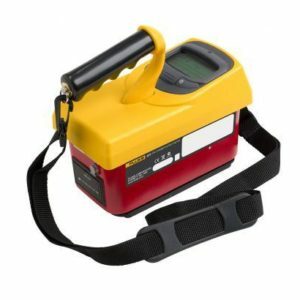 100 V to 240 V AC, 50/60 Hz, 20 VA max.